Round braided rope manufactured from a special type of high tenacity polyester yarn. 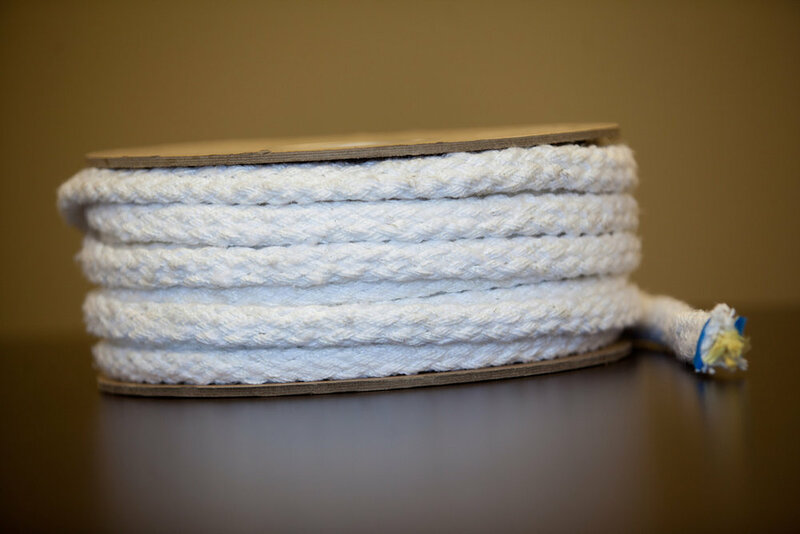 This rope is designed for use in VPI (Vacuum Pressure Impregnation) systems. The special yarn utilized increases varnish absorption. A special high strength version is available with a high strength aramid fiber cord. Covered by Breyden Products' UL tested sample BPCCT155. Also available in Fiberglass Surge Rope from our sister company, Saylor Products. Click here to view product options.